I'll repeat that both images above were shot on an iphone. I have included an image at the end of this post that I shot professionally in studio. Film is not dead and it's a great way to learn about photography. You'll have to actually wait a few days to see the results, so you'd better take some notes on how you took the shots. I like shooting medium format film which I first shot in the 1980's. I'm not all that old. I just started young and logged plenty of darkroom hours back then. The Mamiya 645 above has a negative size that's 3X larger than a 35mm negative and there are a few other things that are different from a 35mm. Medium format cameras are larger in size, the film is a roll that has a paper feed and is sealed shut when finished by licking the adhesive, it has an insert that pulls out of the camera to hold the time (many medium format film cameras have film backs that can be attached and detached), most lenses are prime lenses (meaning one focal length) and the focal length is different in compared to a 35mm lens. 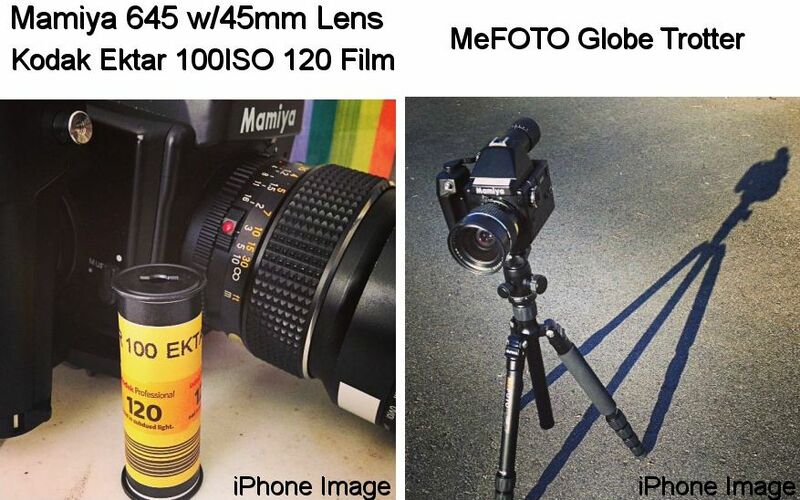 That's only a few of the differences in medium format film vs. 35mm. I mentioned the focal length of the lenses being different. For example, in the image above and below, I have a 45mm lens on my 645. That is a wide angle lens for this camera because the 50mm equivalent on a 35mm camera is a 75mm or 80mm lens. That's because of the negative size. 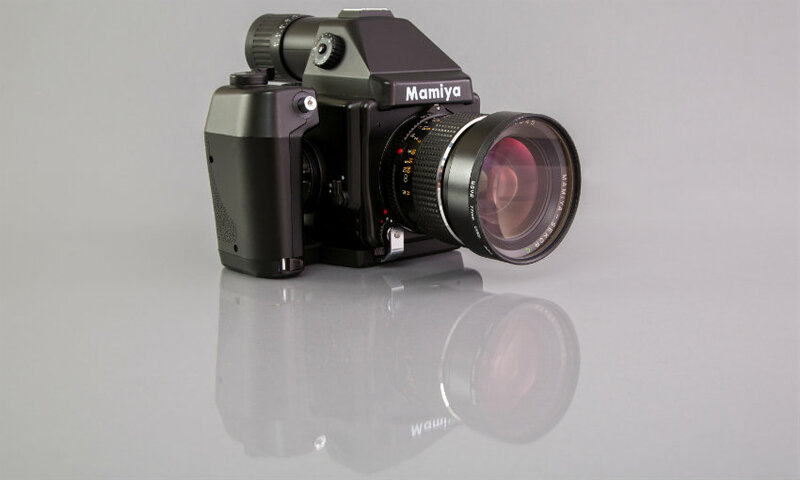 The Mamiya RB67 which has a negative size much larger than the 645 below needs a 90mm lens to create the 50mm standard lens of a 35mm camera. To this point, I haven't said anything about the MeFOTO Globe Trotter Tripod. It's a fantastic travel tripod that folds neatly into a very small travel case. It also converts into a monopod. It extends to be tall enough to use like most standard tripods (not as much as a full size pro tripod) and goes down low enough to get shots much closer to the ground. I never know when I may need a tripod and the MeFOTO Globe Trotter is one that's easy to keep handy. Medium Format Black And White Film Photography – It’s Awesome!